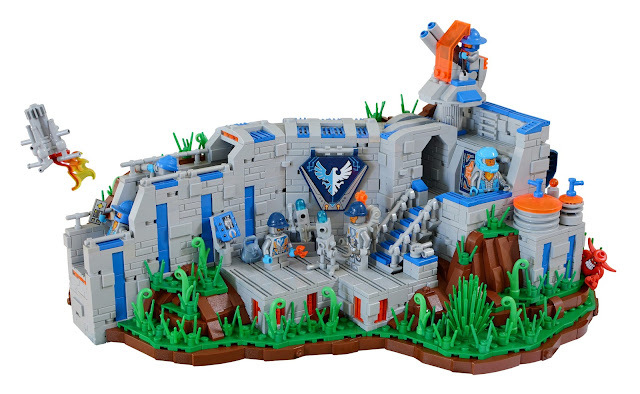 Tiles or Studs: Nexo Recon Hub by Henry F.
Normally I'm not a fan of new Nexo Knights theme but flickr.com member Henry F. created an incredible Nexo Knights MOC last week. Nexo Recon Hub shows us a section of a Knight's Castle area which includes some robots and troops. Creation has some space blue and space orange colors in it. The whole design looks perfect with simple details. This castle is an extraordinary entry for the contest named Flag of your kingdom in Classic-castle.com.